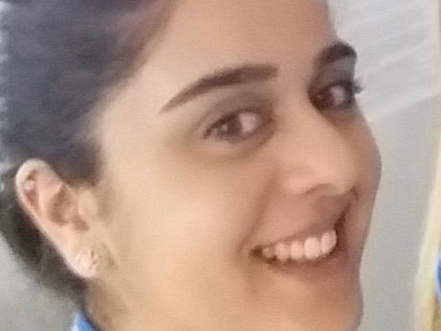 Faiza Ahmed on her journey from office admin to rekindling a passion for psychology. The typical route in clinical psychology is usually this: get an undergrad, complete a masters, get an assistant psychology post (or a few) and get onto the doctorate for clinical training. It sounds straightforward enough, but what if that wasn’t the route you took? What if the route you were taking seemed off track? I wanted to share my story of my alternative route into clinical training that started as an office administrator. I started my degree in psychology in 2009. I was accepted into a very reputable university and I was the first person in my family to go to university, so it was a very proud moment for me and my family. I chose to do psychology because I was so inspired by understanding the human mind, reading the works of Freud and the vast amount of research that investigated why we are the way we are. I wanted to be part of this. As my degree progressed I learnt about the different areas of psychology, some more appealing than others but all expanding my knowledge. I worked tirelessly day and night to gain a 2:1. However, as my degree progressed, I hadn't felt confident about what to expect in terms of a career when I left university. During my degree the world had been undergoing a major recession. People were finding it difficult to find work, including recent graduates, and it became apparent that when I would graduate in 2012 getting into a job was going to be a lot tougher. In my final year I didn’t feel confident that my psychology knowledge was transferrable into a career, so I decided I needed to get some work experience. Had I left it a bit late? I didn’t know anyone who had gone to university so I had no guidance, and it wasn’t something the university had mentioned either. I managed to find a volunteer placement at a mental health charity, where I worked one day a week as a receptionist and listening ear volunteer. My first day there I met individuals from all walks of life, all with varying degrees of mental health problems. I was overwhelmed by it and felt completely insecure about my psychology degree knowledge. I persevered with my volunteer work and my psychology degree, and decided that working with people was something I enjoyed, so started looking for recruitment roles. At this point my career took a completely different direction. I had been a volunteer at the charity for about three months and one of the trustees asked me if I wanted to help the centre manager with some data entry about member’s attendance to the charity. They would pay me for this. I readily agreed. My role progressed into a full-time office administrator post. I took over the responsibility of all administrative duties, volunteer co-ordination, and operational procedures within the charity. Even though I was enjoying my role I couldn’t see any opportunities to grow, so I decided to set up my own business. I began teaching computer classes to beginners, web design and setting up social media services for small organisations. The charity was a big part of this, so I continued to work part-time there and use my days off to run my computer classes from the charity. After doing this for about two years, I decided that having two jobs was becoming difficult, so I decided to find a full-time admin role within the NHS, where I would have opportunities to progress into senior administrative roles. After 11 intense interviews I was finally offered a role as a research and development administrator within a mental health trust. I had never worked in research admin before, so I had a lot to learn, but managed to pick things up very quickly. Whilst working in this role I was offered many CPD opportunities, one of which was as a trials administrator for a number of research trials in psychosis. I got the opportunity to find out about other roles in research, such as research assistants, clinical studies officers, research nurses and many others. I wanted to find out more about these roles and also get back into working with service users and not just be in the background as an administrator. I started shadowing some of the research assistants and within eight months of being a researcher administrator I became a clinical studies officer. I loved my job as a CSO. I learnt about the various services in mental health, such as community mental health teams and home-based treatment teams. I learnt about the different roles within mental health services that I had never heard about before. As my role progressed I met many service users all with varying degrees of mental health problems and this is where my passion to work in psychology was rekindled. I wanted to know more about working as a clinical psychologist, so I approached the CMHT psychology team to see if there was any way I could work with them. I was very lucky at the time as the new assistant psychologist wasn’t able to start so I was given the opportunity to run one of the psychology groups with the team. I gained experience of how psychology therapies are applied in real life contexts, using CBT and DBT therapy. I began attending assistant psychology CPD forums and taking part in psychological assessments and formulation meetings. I realised that clinical psychology was so valuable. I believe treating service users using psychology deals with the underlying cause so much more effectively than masking this with medication, and by this point I knew clinical training was for me. I was guided by the psychology team on what I needed to do get onto the course. I didn’t even know how to apply to get onto the doctorate or that you are paid a salary to do the course… or anything about the course for that matter! I recently had my first experience of applying for the course, or as I termed it 'my practice run'. I didn’t get on the course and I realised it was pretty stressful process! I learnt that I needed to develop my clinical experience further to make me stand out from the crowd, so will soon by working as an assistant psychologist within an inpatient setting. Looking back at my experience I realised that all the experiences I gained over the years were very different to the typical route taken to get on the course, but was extremely valuable in making me into the person I am today. If I hadn’t taken this route and had gone onto clinical training straight after my degree, I might have been a clinical psychologist by now, but I probably would have lost my passion for the role and never fully understood the positive impact of psychology. I wanted to share my story to encourage others that sometimes taking the typical route doesn’t work for us all. Going off track for a while doesn’t mean you will never get into clinical practice. You will bring your own experiences into clinical training and put your own mark on it.